A parent’s nightmare. And we’ve all lived it: a screaming child at the store. Each of us knows the suffering. All eyes in the store are staring at the parent, not the child. The child seems uncajolable. The sound travels out the doors. Is there anything a parent can do? At the moment it probably seems like there isn’t. Trying to shush and quiet a screaming child, our only thought is to get the rest of the items on the list and out of the store as quickly as possible. Tired and hungry. Often the reason for an unruly child at the store is being hungry or tired, or both. I know it seems easier to stop at the store after soccer practice or on the way home from a play date, but it’s not. Try to plan trips to the store when you and your child aren’t cranky and rushed. Also, consider planning a time to go to the store when someone else can care for the little one. Chatting with a neighbor. Little ones aren’t interested in the latest news and quickly become bored. A quick hello is sufficient, then make arrangements to catch up over tea at another time. Entertainment. I can only imagine what it’s like for an active preschooler to be trapped in a cart seat for what must seem like hours. Have something to entertain your preschooler will help the hours go by. Actually, select how many items is the limit of the endurance to sit in the cart. One idea is pictures of grocery items on cards, which can be put on a ring. The trapped preschooler can find the picture of an item on the list, then help find it on the grocery shelf. Find out what the problem is. Go ahead and get a nutritious snack for a hungry child. Sing a silly song while going through the store. This will not only entertain the little one, but will also bring a smile to other people’s faces. A final suggestion, get finished shopping and get out of the store. Leave the store. Sometimes a little one just doesn’t seem to be able to calm down. If that happens, leave the store. Yes, that’s right. Walk away from the cart and go outside. You will be less tense and able to deal with the situation. The cart will probably be right where you left when you return. Teach your preschooler to sit. At home, practice by sitting in a chair for increasing lengths of time. Think about it. How comfortable can it be to sit in a metal cart for an hour while being pushed around a store? Even your patience would be stretched. A four-or five-year-old can begin to earn a little money by working around the house. There are some things that members of the family need to do to contribute to the well-being of the household, like pick up dirty clothes. There are other tasks that a little one can do, like set the table, for a wage. This is also a good time to teach work ethics. Teach decision-making. Too many of us don’t think preschool-aged children can make decisions. They can if taught. Children love to help. Allow them to help pick healthy foods or the color of a shirt. If vegetables are needed for dinner, give the choice to your child – carrots or peas. 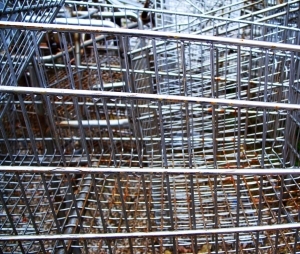 When children are part of the shopping experience they are less likely to misbehave. It is possible to have a pleasant shopping experience with a preschooler. It just takes a little training, a little time, and God-given patience. How do you have quiet shopping trips with your preschooler? Receive 24 Prayers for Your Children free, subscribe to Practical Inspirations News. Thank you, Anna, for your kind words. I’m glad you have joined us.